Physical fitness was to George Bradford, as to all his brothers, a necessity. His sympathy with everyone who honestly tried to 'do his job' helped him to become a splendid coach and trainer of any team or crew that was lucky enough to secure his services. George Bradford also played at half-back for the United Services, but in every kind of sport, especially in boxing, he was exceptionally successful. 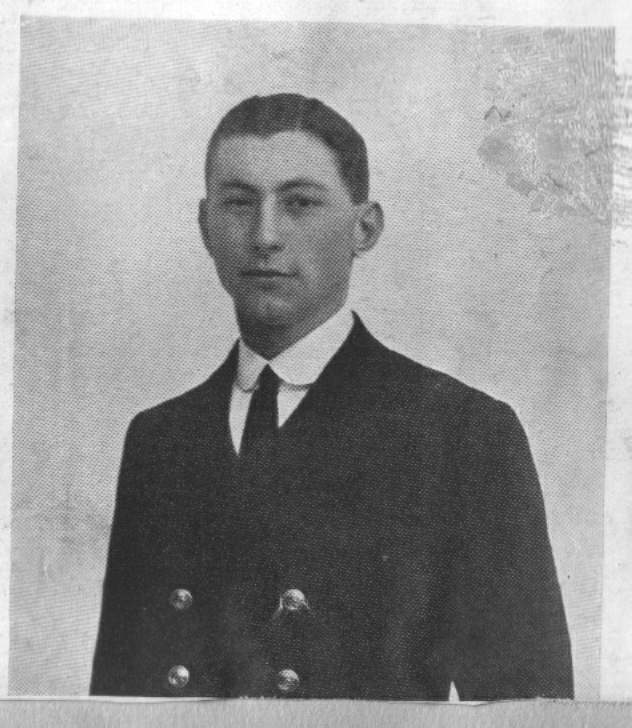 It would not be an exaggeration to call him a hero sportsman, indeed a national newspaper used that very title when it published a photograph of George Bradford fighting an exhibition bout with Admiral Sir R.K. Arbuthnot on the deck of Admiral Jellicoe's flagship. Prizes for boxing fell to him in great numbers, and his reputation as a skilled and determined boxer was firmly established in the Navy. "I have just read an amusing passage in 'The Long Trick'. It describes my boxing bout with Seaman Hayes, which was held on board Admiral Jellicoe's Flagship during the war. It's written by 'Bartimeus' and, as anyone who knows the work of 'Bartimeus' will expect, full justice is done to the event. In the book he describes me as 'Lieutenant Adams', and refers to Seaman Hayes as 'Seaman Hands' ". A Lieutenant-Commander appeared at the doorway from the smoking room. 'There will be an exhibition bout next,' he shouted, 'and then the final of the Light Weights.' A general move ensued on to the upper deck. The raised ring was in amidships before the after superstructure. The officers occupied tiers of chairs round three sides of the platform. The Admirals and their Staffs in front, and the Post-captains of the ships that had entered competitors, just behind. On the forward side, extending the whole breadth of the ship, was the dense array of the ship's company. . . . The judges were taking their seats at the little tables on either side of the ring, and the referee, an athletic-looking Commander, was leaning over from his chair talking to the Chaplain, who was acting as time-keeper. The Physical Training Officer of the Flagship stepped into the ring and raised his hand for silence. The hum of voices died away instantly, and in the stillness the thin, querulous crying of the gulls somewhere astern was audible. "Lieutenant Adams, Welter-Weight Champion of the Navy, and Seaman Hands, ex-Middle-Weight Champion of England, have kindly agreed to give an exhibition of sparring", he proclaimed, and withdrew. During the applause that greeted the announcement a youthful figure, clad in a white singlet and football shorts, with a sweater thrown over his shoulders, ducked under the ropes and walked rather shyly to his corner of the ring. His appearance was the signal for a vociferous outburst of applause . . . . The clapping suddenly redoubled, and a broad, bull-necked man of about forty vaulted lightly into the ring and took his place in the opposite corner. He was stripped to the waist; his jaws moved mechanically about a piece of chewing gum, and an expression of benign good humour and enjoyment lit his battered, kindly countenance. It was not until the gong sounded and the two men rose from their chairs that the contrast between the toughened ex-professional and the lithe graceful amateur brought forth a little murmur of delight from the vast crowd of spectators. . . . The Lieutenant was perhaps fifteen years the junior. . . Deep-chested, lean-flanked, perfectly proportioned, and perhaps a shade 'fine-drawn' - - - England and America carelessly produce and maintain the standard of this perfection of physical beauty as no other white race can. The two men met in the centre of the ring, and as they shook hands the old pugilist grinned almost affectionately . . The two boxers had slipped into their habitual poses and were quietly moving round each other. The graceful activity of the amateur was somewhat characteristic of his school, while the ex-professional contented himself with almost imperceptible movements of his feet, watching with a nonchalant yet wary caution for the coming attack. With the suddenness of a flash the Lieutenant led with his left and was back out of harm's way again. 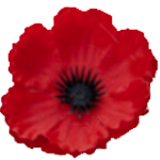 True and quick was the blow, but the veteran's defence was even quicker. Without raising either glove he appeared to have swayed backwards from the hips . . . .
Then for three short rounds there followed a completely enthralling display. On one side was perfectly trained orthodox amateur boxing. On the other every clean trick and subterfuge of irreproachable ring-craft . . . . In the last few seconds of the final round, however, a little out of breath with his defensive display, the older man changed his tactics. With lowered head and ferocious face he advanced, a whirling bulk of might and action, upon the amateur. Tap; tap; tap! Left-right, over and under, through the guard and round the guard of the outfought youngster the unclenched gloves totted up a score of points. There was a careful restraint behind each blow, yet, when the gong sounded and they smilingly shook hands amid tumults of enthusiasm, a thin red stream was trickling from the right eyebrow of the amateur champion. 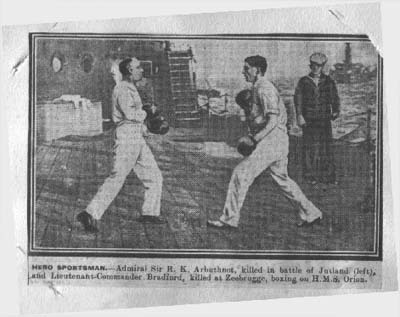 This photograph of George Bradford (right), the so-called "Hero Sportsman", boxing an older opponent is not the exhibition bout just described, but another quite separate occasion on board H M S Orion, when he was boxing Admiral Sir R K Arbuthnot. Boxing was perhaps George Bradford's favourite sport of all sports. He not only excelled in it himself, but he also followed closely the careers of men who were professionals of the ring. Writing to his sister, fourteen years his junior, in 1917, he said "Yes, I saw that Wilde beat Symonds, I have seen the latter box. You are very observant to have noticed it."